Apple has extended its charger amnesty for iOS devices to the UK, allowing users to swap potentially dangerous, third-party adapters for an official accessory. For a fee of £8, iPhone, iPad and iPod users can take any knock-off charger into an Apple Store or authorised Apple dealer and get a new USB charger. 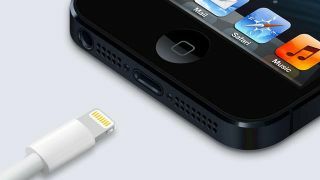 Apple usually charges £15 for new iOS chargers, so users are getting an official one for nearly half price, while diminishing the risk of being electrocuted as an added bonus. To quality for the offer, which will run from August 16 to October 18, users must bring their device with them in order for the serial number to be recorded. The trade-in scheme comes following concerns over an incident in China in which a woman died after reportedly being electrocuted by a third-party charger. Earlier this year, trading standards officials in Essex also expressed concern over the safety of third-party chargers, with one in three chargers failing to meet European standards. In its announcement Apple said: "Recent reports have suggested that some counterfeit and third party adapters may not be designed properly and could result in safety issues. While not all third party adapters have an issue, we are announcing a USB Power Adapter Takeback Program to enable customers to acquire properly designed adapters. "Customer safety is a top priority at Apple. That's why all of our products - including USB power adapters for iPhone, iPad, and iPod - undergo rigorous testing for safety and reliability and are designed to meet government safety standards around the world."